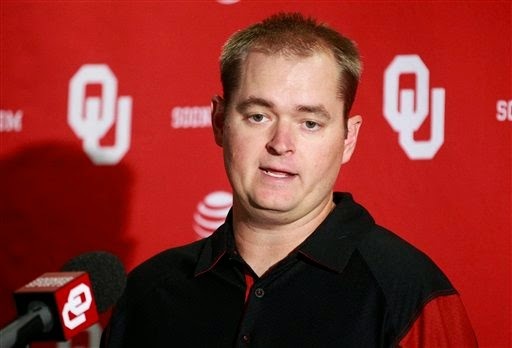 Missouri has made Josh Heupel -- formerly Utah State's offensive coordinator and both a quarterback and assistant coach at Oklahoma -- its new offensive coordinator and quarterbacks coach. Heupel played two years at Oklahoma and, in his senior season of 2000, led the Sooners to a national championship, coming in second in the Heisman Trophy voting. He spent 11 seasons as an assistant with Oklahoma from 2003-2014, with a short stint at Arizona in 2005, before taking over as Utah State's offensive coordinator and assistant head coach in 2015. He served as Oklahoma's quarterbacks coach from 2006-2014 and added the title of co-offensive coordinator in 2011. Heupel is Barry Odom's first major hire as Missouri's new coach, and Odom hopes Heupel can improve an offense that finished 2015 ranked 127th out of 128 teams in scoring offense at 13.6 points per game.